Batman the Killing Joke Value? Never been read no spine stress. kept in plastic with acid free board. No crinkles, wrinkles, discoloration, I can't find any flaws at except slight dent that must have been there all along. Glossy finish is great. Had out of plastic to take pictures only. First print. 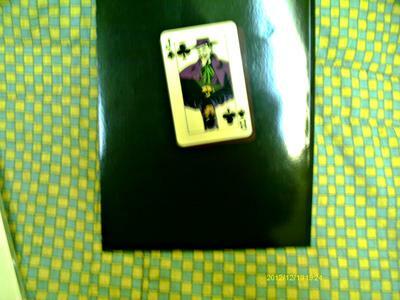 Editor's reply: The prices for this kind of Batman comic book TPC (trade paperback) have increased steadily. 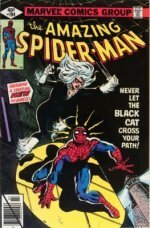 You'd have to get this graded by CGC to get the best return from it. The ding is unfortunate. It may restrict the grade to 9.2, 9.4, maybe 9.6. In that grade, your book is worth between $50 and $75. You'd want to be sure of a 9.8 to make it worth grading. Check the current market values here. Thanks for writing, that's a classic book. Comments for Batman the Killing Joke Value? I'm looking to purchase The Batman the killing joke comic book, which would of been signed by Alan moore. I'm looking for the comic book to be in minimum near mint condition and with proof of authentication. If you have this an are interested in selling please contact me on. 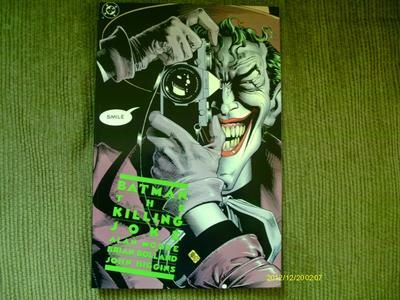 Sell My Comic Books would be interested in buying your signed Killing Joke #1. Please get in touch by clicking here. 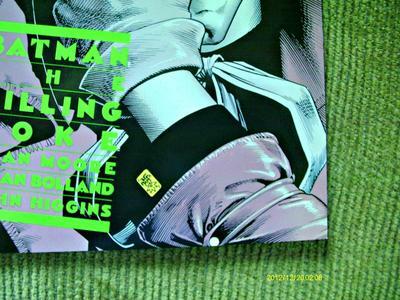 I have The Killing Joke, mint condition. New, never before open or unsealed. Still in clear plastic. How much? I would definitely use CBCS to verify the signatures. The value of the book will be enhanced by third party grading and signature confirmation. Hi this is signed by both Alan Moore and Brian Bolland. It's signed in silver ink on the first inside right hand page (bottom right hand corner where the rain drop images are. This signing was from I think 1986 and would have been at the signing they did at forbidden planet in Camden London. I have (2) copies of The The killing Joke 1 n.m. The other pretty close in condition, asking $100.00 for both or make me a reasonable offer and I will split them. If interested go to vexedto@gmail.com. 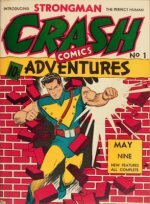 I believe if this comic was found in its mint or near mint condition this particular comic would be worth From $50 to $150 or up. This is because rarely have i seen it. The story line is one of the best I have ever read or seen. The art is amazing to me and I use to or may still own it. 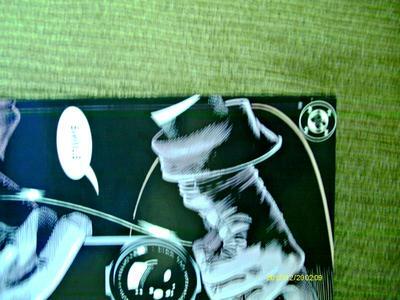 I"m not sure because my comic books or at least most of them are stored in or at another place other than my own home. I use to have a larger collection but made it smaller do to money shortage. Not sure of all of what i have but i do have around fifty to one hundred comics or more in rare condition mostly consisting of Marvel DC valiant and Image comics. I value my comics. Thank you Ladies and Gentlemen. Most of my comics are from around the early 1190"s.
It can't really hurt, but unless CGC witnesses and slabs the book as it's signed, it won't significantly increase the value. Do it if you want to and enjoy the idea. I also have the first edition comic and have the opportunity to get it signed by John Higgins. Would this increase or decrease its value? Thank you for the prompt feedback! I think I will go ahead and submit it, as it appears to be in perfect condition and I would like to make sure I am getting a fair price for it. Thanks! Unless you are prepared to send it to CGC for grading, $20 is about right. I also have a first edition collector's edition Batman the Killing Joke, still in it's protective plastic wrap, seal unbroken, perfect condition. I just called a local book dealer and he said he would buy it for $20.00. I'm skeptical because it seems that it is worth more. Any suggestions?